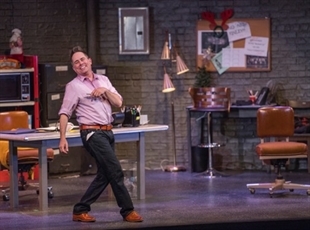 Martin Burke in Lyric’s 2016 production of FULLY COMMITTED. Photo by KO Rinearson. “Sylvia” Starts Pollard Season with a Hit Right Out of the Dog Park! Oklahoma Shakespeare in the Park’s Artistic Director Kathryn McGill is excited to bring “The Liar” to Oklahoma audiences. Board President Rob Gallavan is also delighted, and brings his considerable talent as an actor to the production. Laura Standley, Associate Professor of Theatre at Massachusetts College of Liberal Arts, returns to her native state and original stomping grounds to direct “The Liar” at OSP’s Paseo location.